I just got back to Portland from my trip to New York. It was sweet but definitely short. My Wednesday night engagement at The Jazz Standard with bassist Linda Oh and jazz drumming icon Jack DeJohnette was sold out for two shows. This is something to be pleased about for three reasons. The first is that sold out is always good; I've played in New York and elsewhere for undersold houses( read as more people in the band than in the audience) and it's depressing. The second is that is was raining cats and dogs all night; it was so bad that on the ride home, the streets were so flooded in places that I thought we would be swept out to sea! Thanks to those who braved the weather. The third reason is that there were tons of other great gigs going on that night in New York. Jason Moran and Eric Harland were at the Blue Note, Steve Kuhn with Eddie Gomez and Joey Baron were at Birdland, Marcus Strickland was at the Zinc Bar, French Hornist Mark Taylor was at Cornelia St.....anyway, you get the idea. I keep telling people in Portland that when you consider the magnitude of the PDX Jazz Festival, consider that New York has that many things going on every single night of the year. Ephron on electric bass. Later, I walked over to Small's to catch bassist Joe Martin's quartet with Kevin Hays on piano, Steve Wilson on alto saxophone, and Jeff Ballard on drums. New York is amazing in that you can find the best players in the world playing in these tiny venues. I'm finding the longer I am not a New York resident, the more I appreciate my short trips to the city and the live music that I get to hear. It's also cool to bump into friends and great musicians who are also out hanging; I saw Dave Kikosi, Peter Zak, Xavier Davis, and Jerome Sabbagh just hanging out at Small's, and then I bumped into Jaleel Shaw just walking to the F train! I miss the energy of the city; I feel like perhaps my last years in New York I took it somewhat for granted. When I first moved to New York, I didn't go to public jam sessions as much as the private sessions at people's apartments. The first two apartments I lived in were big enough to have rooms for music, so we would have a lot of "sessions" there. I remembered doing sessions with people who are superstars now: Bill Stewart, Mark Turner, Chris Potter, Donny McCaslin, Brian Blade, and tons of musicians who aren't household names but are incredible nonetheless. On this trip, I was glad to be included in a session with bassist Jim Whitney, drummer Rob Garcia, saxophonist Kenny Brooks, and vocalist Debbie Deane. Sometimes it's more fun to organize an informal session than go through the arduous task of booking a gig; oftentimes it's more worthwhile, and more stimulating. Music is music, and in this case, we played some hip Kenny Wheeler tunes and standards. It made me very nostalgic for the late 1990's when I was doing this sort of thing all the time. Walking around Manhattan and Brooklyn, I got even more nostalgic. It's been almost 20 years since I moved to the Big Apple, and the city has transformed itself in some ways good and in others not. It's arguable safer, however, it's also impossibly expensive. 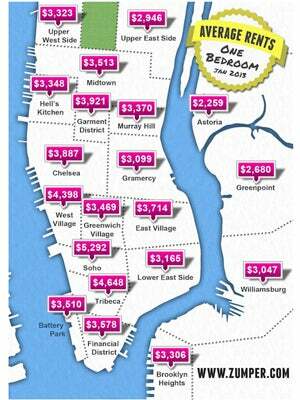 When I look at people renting a tiny one bedroom in the East Village for 3000 a month, and probably the same for Park Slope, Brooklyn, I wonder how my students would be able to afford even a security deposit for a place if they decided to take the plunge. It seems as though New York is even more of a playground for the ultra-rich than ever before. Is it viable for jazz musicians to pursue their dreams here? Regardless, folks are doing it by hook or by crook. New York and the jazz scene is still there, and probably will be for a long time. I appreciate the comfort of my home in Portland, but I hope to continue to keep figuring out ways to get back to the Apple just to stay inspired.